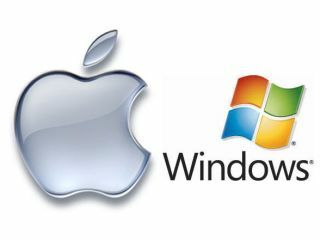 Windows vs OS X: who's winning? The question of which operating system is best for music will probably never be answered - everyone has their own personal opinion - but research suggests that while Windows' market share is dropping, OS X's is on the rise. Figures published by Net Applications indicate that, while the Microsoft operating system has seen its market share fall from 92.42% to 89.62% over the past year, Apple's has risen from 6.8% to 8.87%. Linux's market share has risen from 0.57% to 0.83%. Although it still has a massive lead, this is the first time Windows' market share has dropped below 90%. Many users have had problems with the latest version, Vista, and some are predicting that its successor, Windows 7, could be launched as early as next year. Apple, meanwhile, is set to release OS X 10.6 (Snow Leopard) in 2009 - possibly in the first quarter of the year. Interestingly, the company's iPhone OS already has a 0.37% market share, and this seems set to rise further.